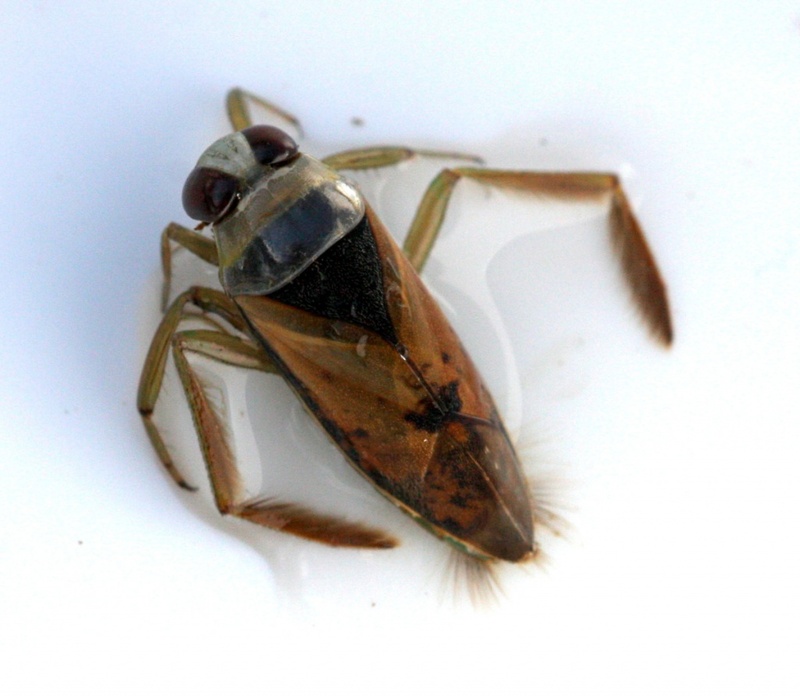 There are four UK Notonecta species and all look broadly similar. All are found in VC55 so care is needed. 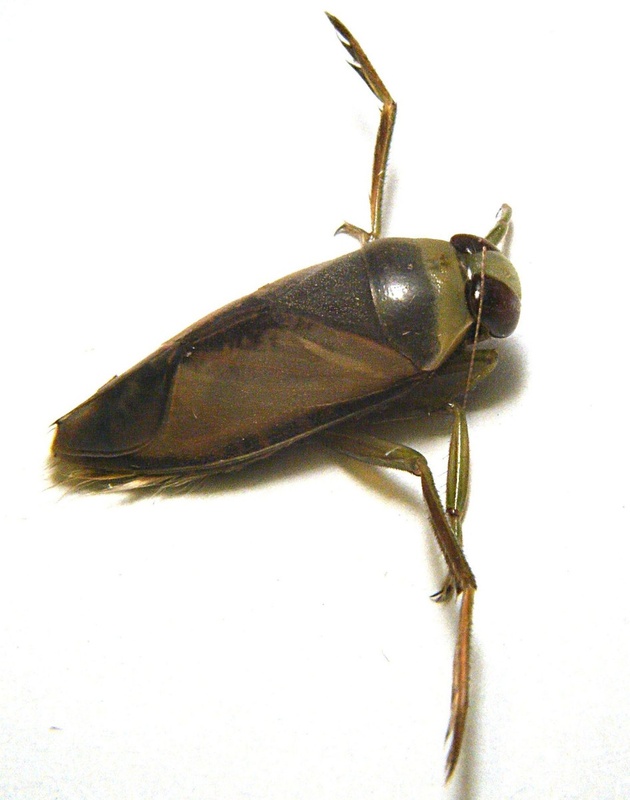 N. glauca is most likely to be confused with N. viridis. 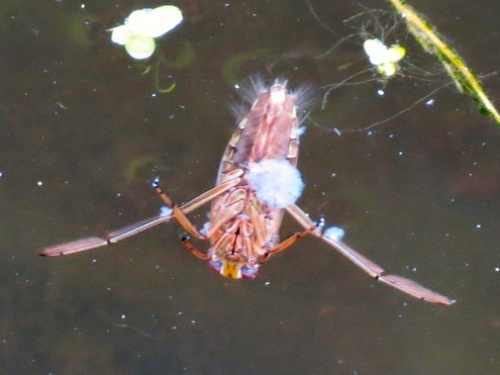 Both have pale wing coverings (these are darker in the other two species). The front corners of the N. viridis pronotum are pointed and they extend partly under the eye. The front pronotum corners are more or less square in N. glauca. 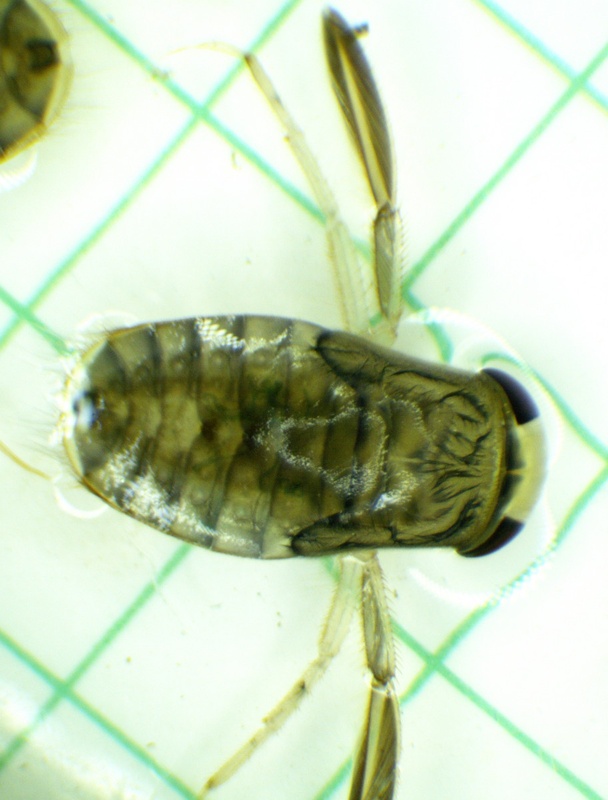 A good photo of the dorsal surface is needed and ideally a side view showing the front corner of the pronotum. Alternatively the specimen needs to have been examined and the ID method described. Water dwelling, in ponds, cattle troughs, etc. 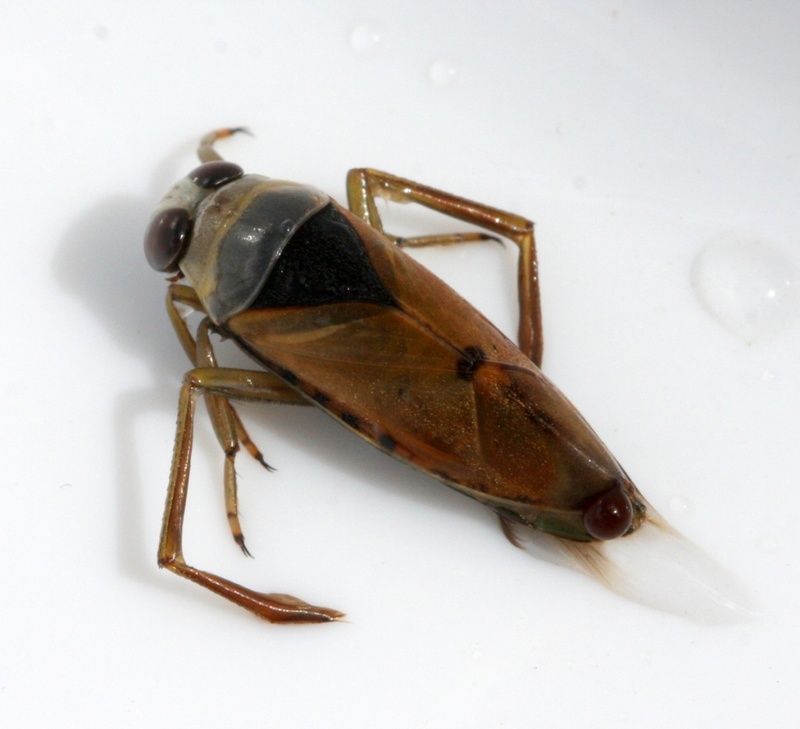 Backswimmers are predators that attack prey as large as tadpoles and small fish, the forelegs, which are short and strong, are used for grabbing prey. 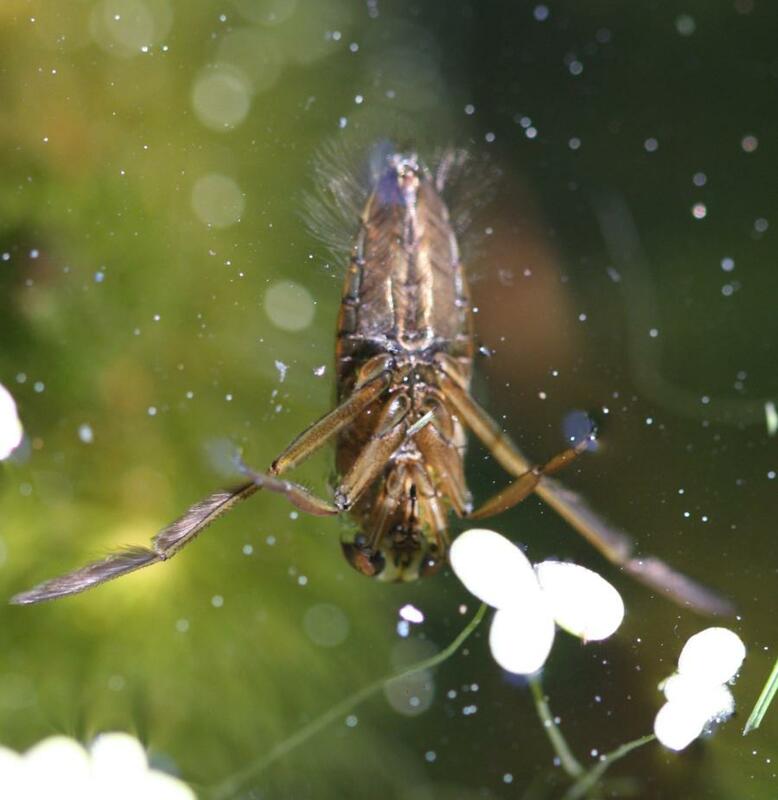 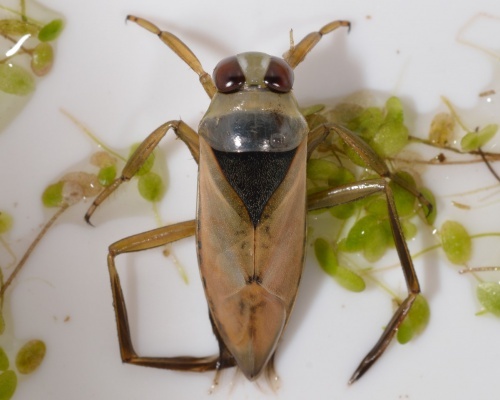 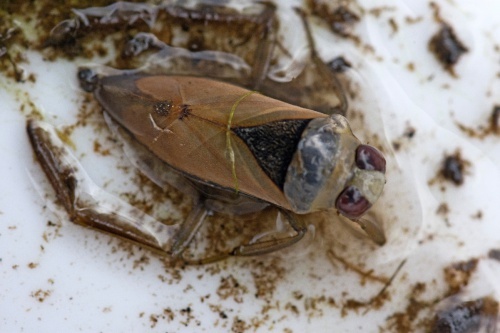 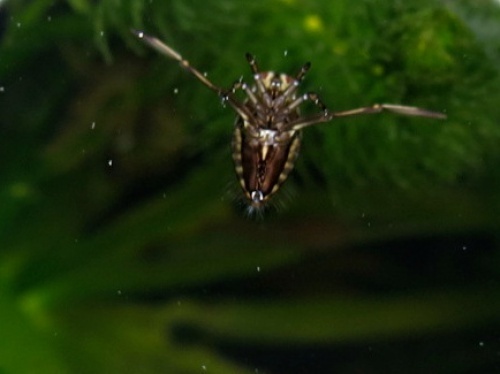 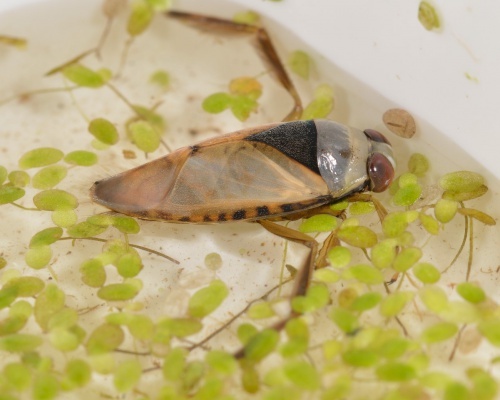 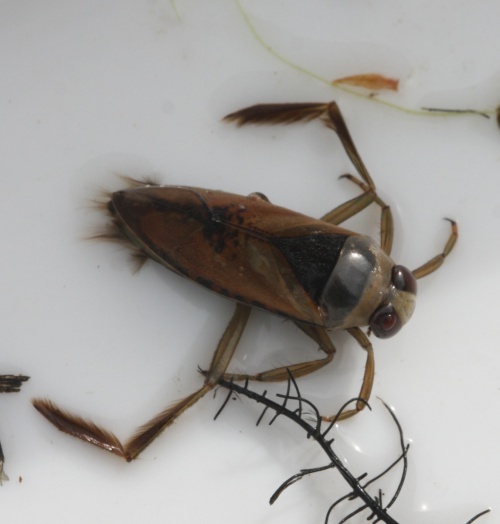 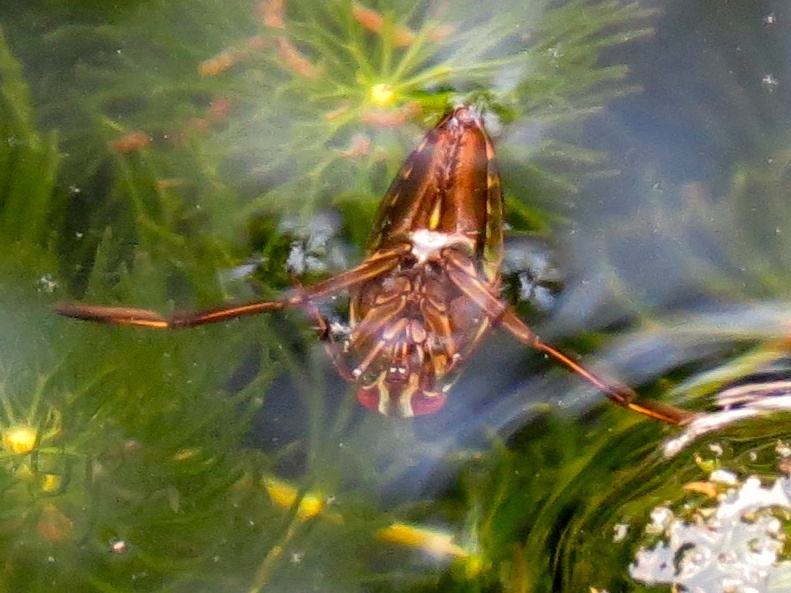 In contrast to other aquatic insects that cling to submerged objects using the extra oxygen supply from haemoglobin in their abdomen, instead of using oxygen dissolved in the water. 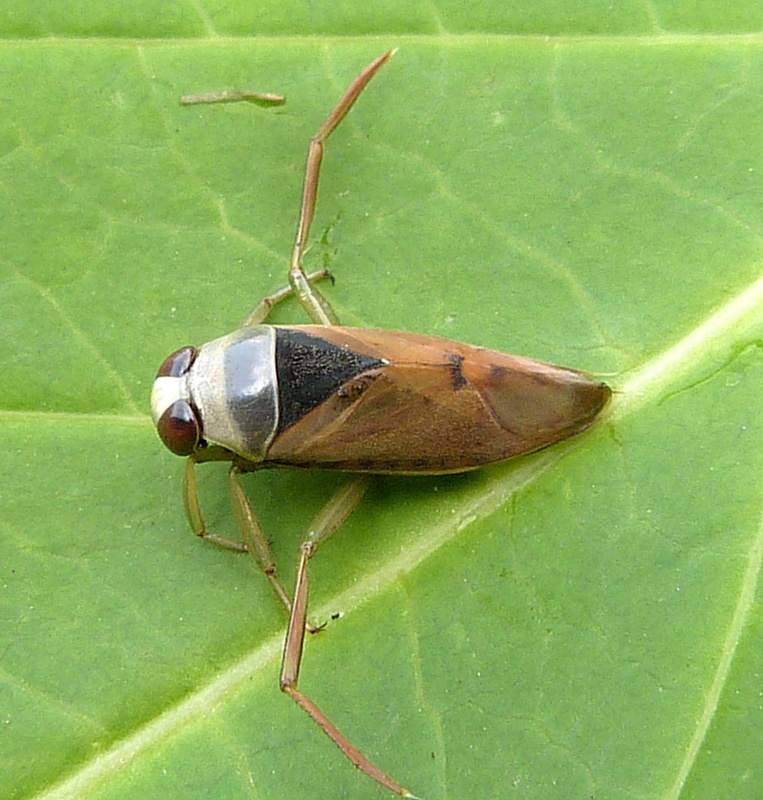 Common: the most widespread and abundant of the genus in Britain.